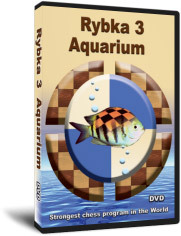 Rybka 3 Aquarium is now available. The June and July columns give a glimpse into some of the capabilities of this new software, and in April and May I interviewed the developers of both Rybka 3 and Rybka Aquarium. It’s still early in its release, but it’s already clear that Rybka 3 is a huge step forward from the previous version, both in playing strength and functionality. Chess Assistant 10 is a fast and powerful chess database that is equipped with an array of tools to assist active and improving players. This month I’ll look at some of the methods offered by Chess Assistant for infinite analysis and examine two of them in detail. Many readers probably think of infinite analysis as pushing a button and watching a chess engine search for the best line of play, but as you will see Chess Assistant has taken this simple concept and turned it into a powerful tool for analyzing and understanding a position.